To keep your lawn healthy and looking great, a professional lawn care program is essential. Properly balanced products applied at the correct times ensures your lawn will have the necessary nutrients to prevent disease and control weeds. MJS Landscaping Services employs a professionally trained staff, and will design a custom program for you to keep your lawn healthy and lush. 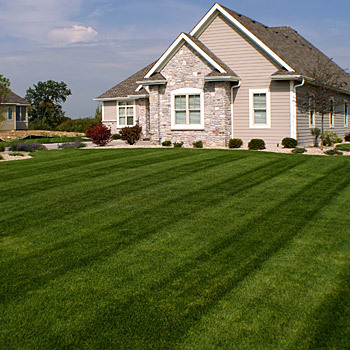 For your convenience, lawn treatments are scheduled based on the ever changing seasonal weather, and an informational form is always left at your home when the work has been completed.